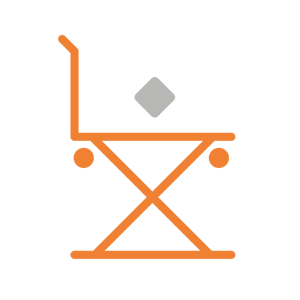 I confirm that I have read Online store policy and I accept all of its rules. 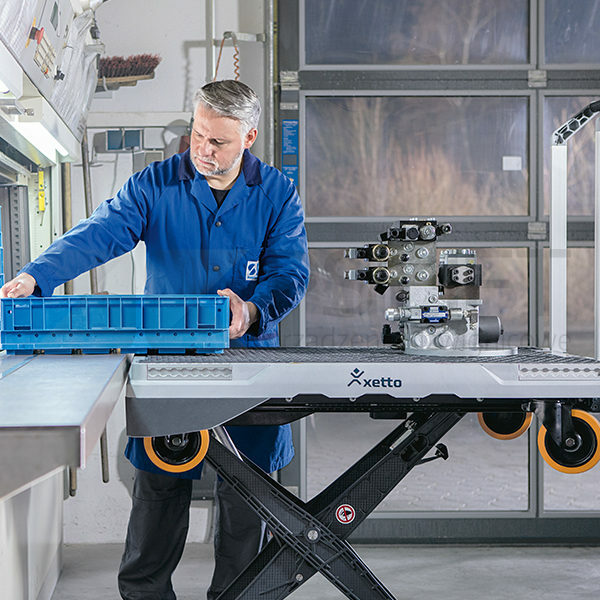 xetto® is a true multipurpose system. 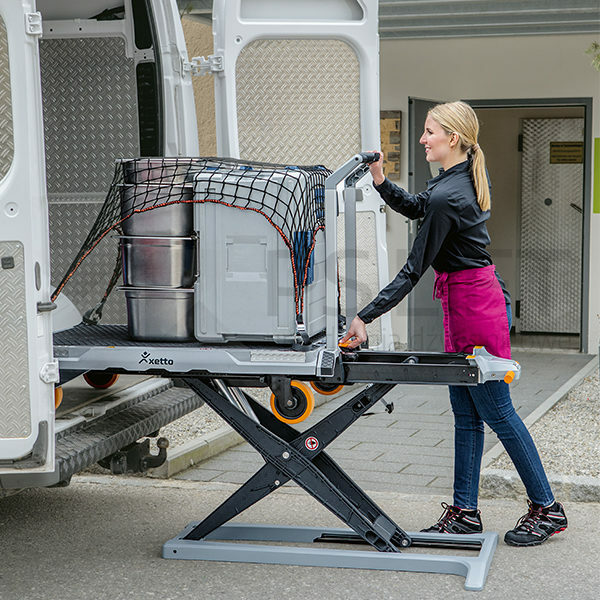 It lifts, moves and loads cargo and goes everywhere you go. 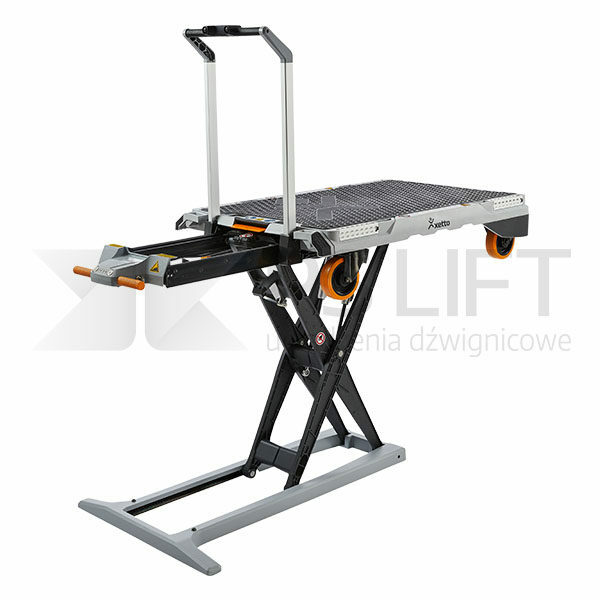 Its versatility and flexible applications appreciably simplify your work. 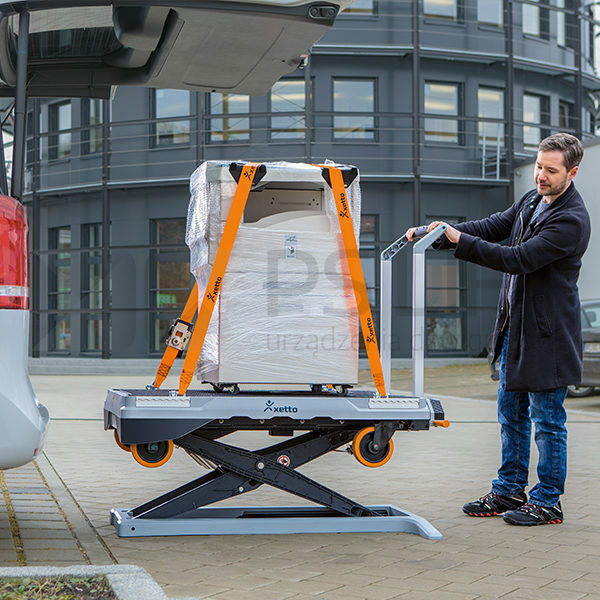 With xetto® a single person can move, lift, load and unload up to 250 kg of cargo. 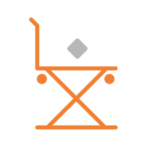 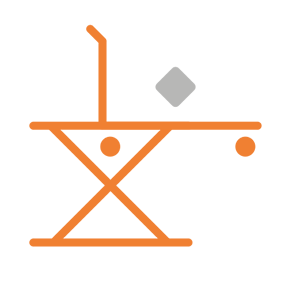 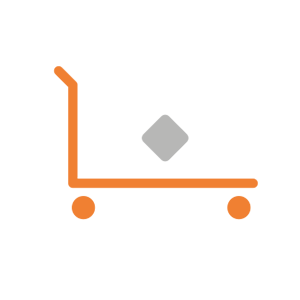 A second person who was previously needed for unloading is no longer necessary when using xetto® and can assume other tasks. 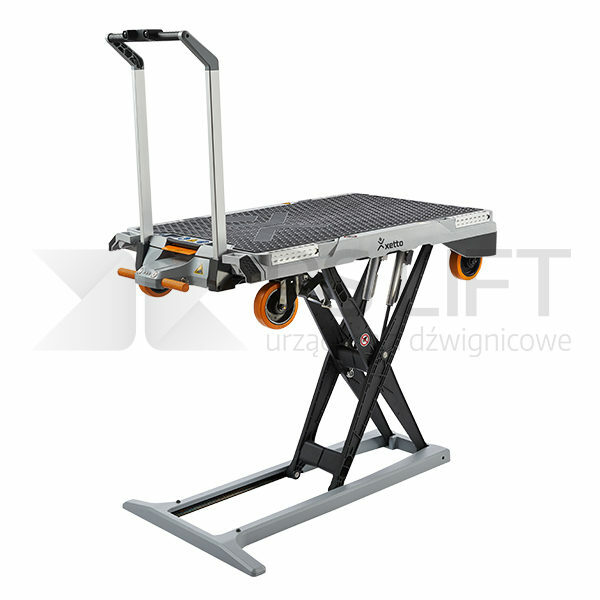 With xetto® you are able to lift heavy equipment up to 250 kg without any manual effort. 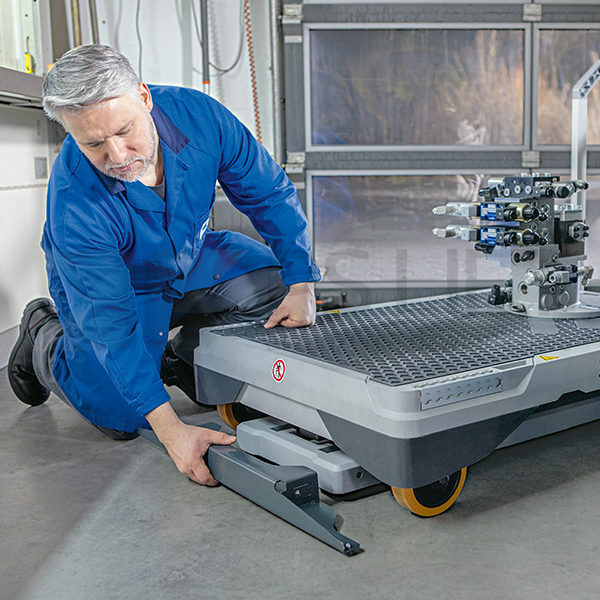 Thanks to wheels with a diameter of 160 mm, xetto® easily overcomes curbs and uneven terrain with a height of up to 25 mm. 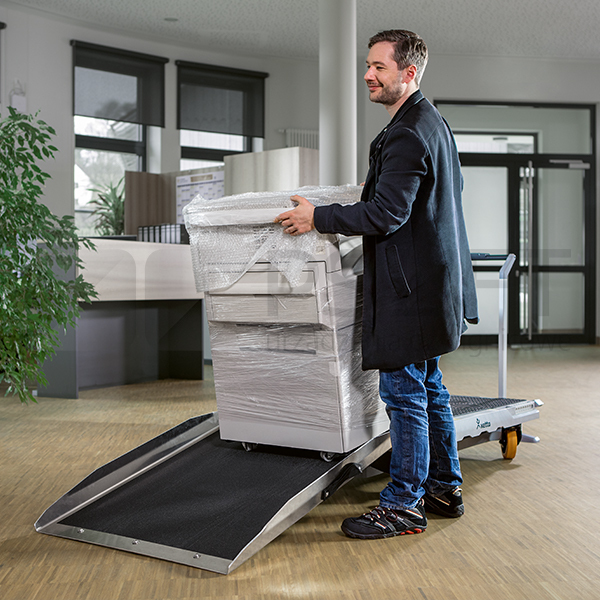 The system overcomes thresholds, stairs and comparable obstacles up to 800 mm in length. 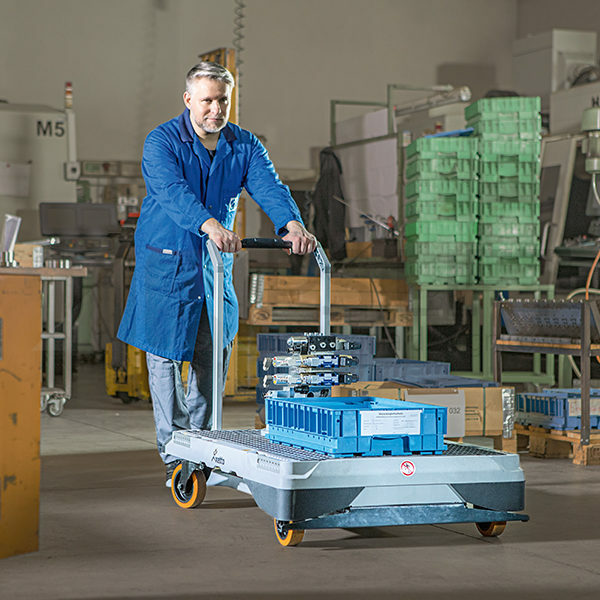 The loading space measuring 1175 by 800 mm offers space for most things that can be transported as part of everyday routine work. 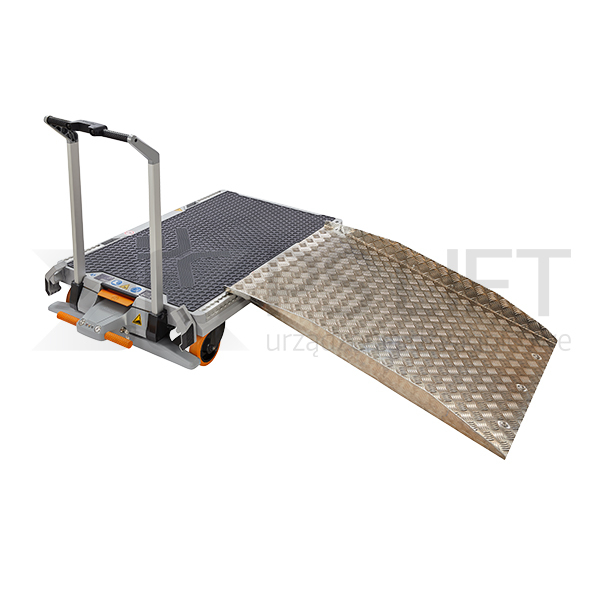 The device has brakes to prevent from rolling. 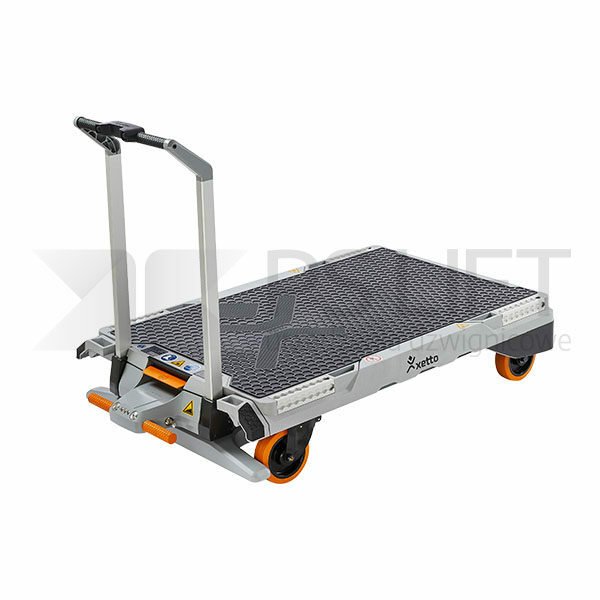 xetto® special accessories optimize application options, provide protection against dirt and moisture and safe transport of cargo. 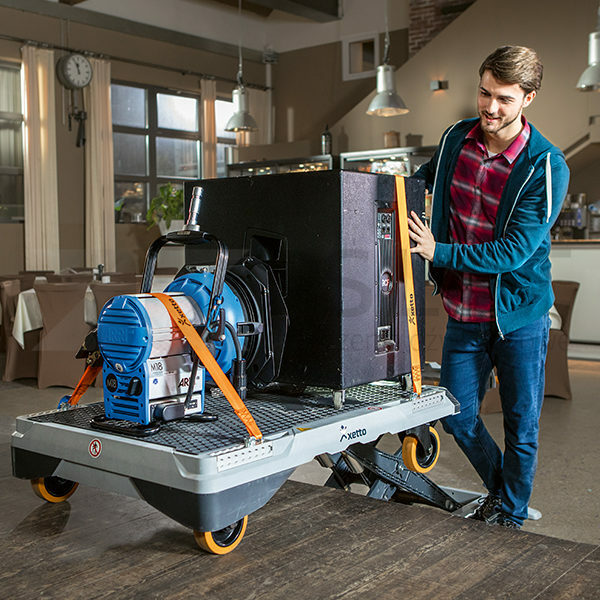 With xetto® you are able to lift heavy equipment or materials quickly to a working height of over one meter, making it the ideal mobile assembly aid. 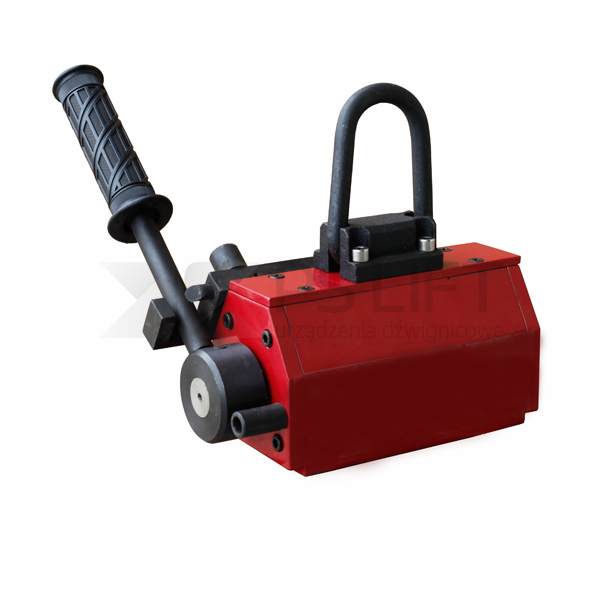 This allows you to work easily with raised objects, machines, etc. 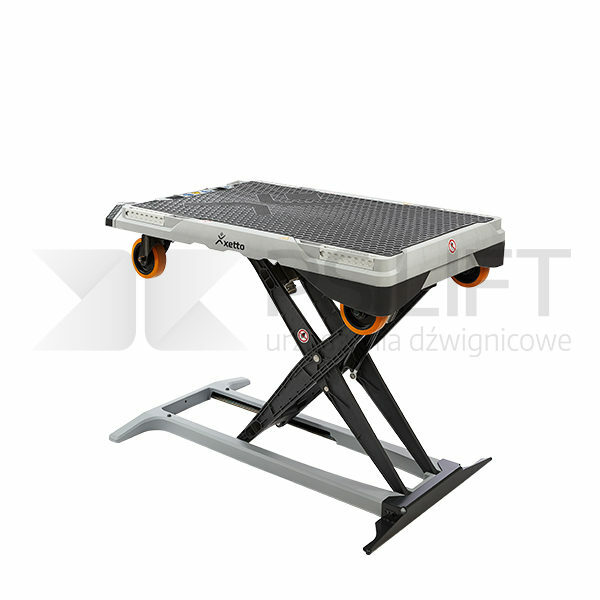 at an ergonomic height turning xetto® into a mobile mounting or working table with adjustable height in the workplace. 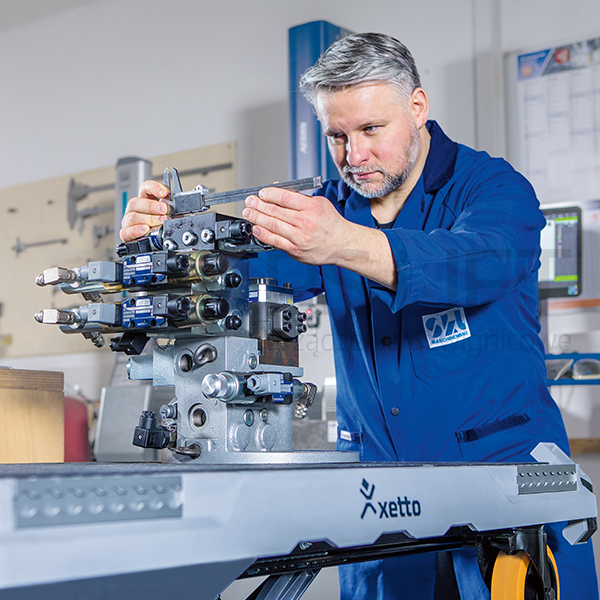 The core of xetto® is a powerful micro-hydraulic and kinematic system. 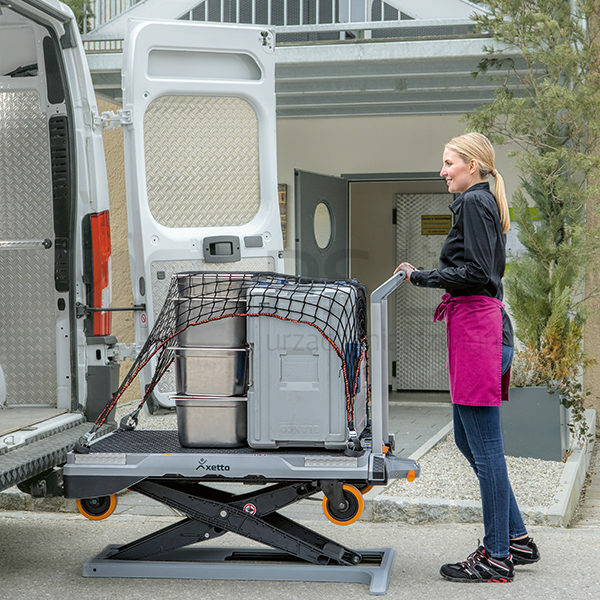 When loading, xetto® raises its load to a maximum height of 800 mm, then moves inside the vehicle (cargo space), lifts behind the load and slides under it in the cargo space of the vehicle. 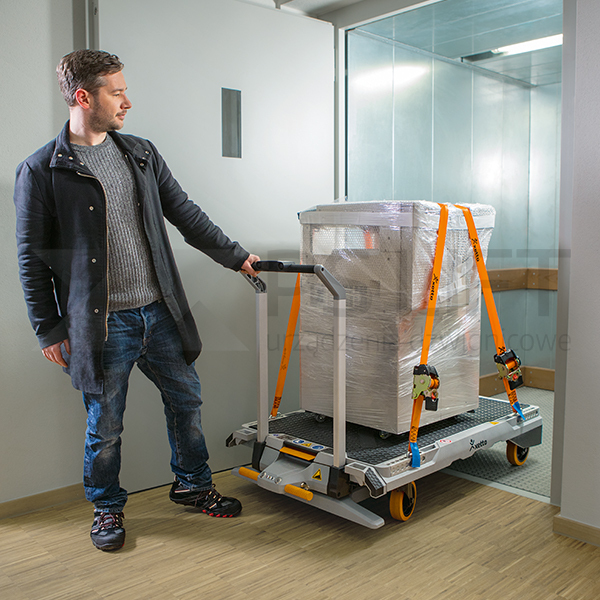 Unloading is just as simple, xetto®’s frame slides out from the load, spreads to the necessary height creating a solid frame for itself, and then moves the load and lowers down to the nominal height. 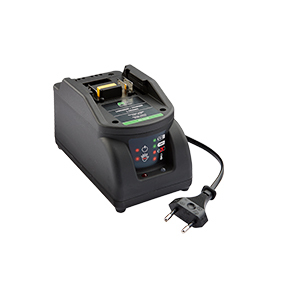 230 V charger – for charging the rechargeable xetto® battery using a power outlet. 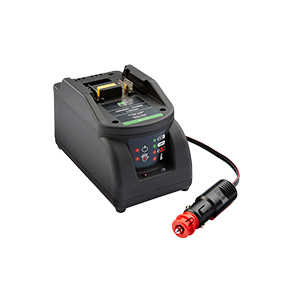 Car charger – for the 12/24 Volt socket in the vehicle. 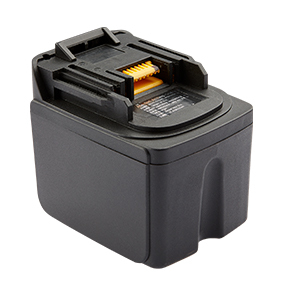 Additional battery – original xetto® additional battery. 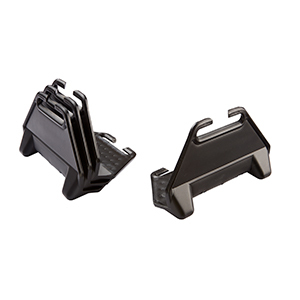 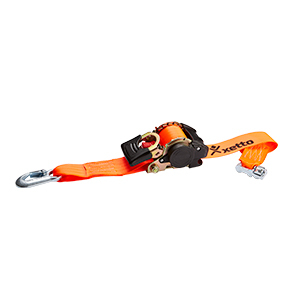 Airline-style lashing strap – automatic lashing strap to ensure cargo is secured easily and safely on xetto®. 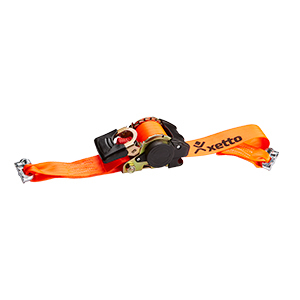 Airline-style lashing strap with hook – automatic lashing strap to ensure xetto® is secured easily and safely in the vehicle. 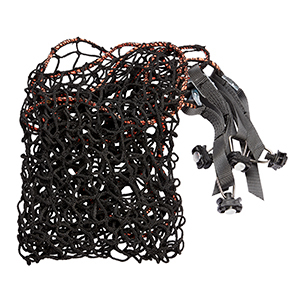 Airline-style cord netting – secures small parts to prevent them from sliding and/or falling out of containers. 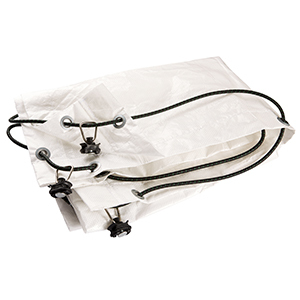 Airline-style tarpaulin – protects the cargo against moisture and soiling.